So what do you do when you've been invited to a Star Wars party and realize the morning of the party that you need costumes? 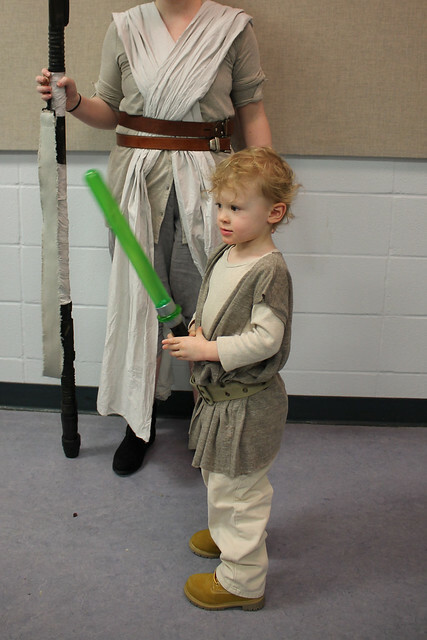 You whip up a last minute toddler Jedi and imperial officer. First you gather a bunch of earth toned clothing for the Jedi. 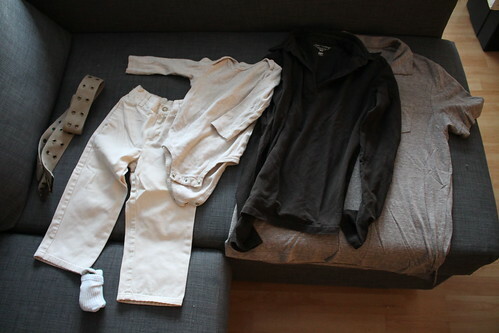 I found some beige/khaki coloured pants and a long sleeved shirt in Axel's closet. I grabbed an old belt of mine and some brown shirts from our clothing swap donation bin. I figured this Old Navy shirt that no longer fits Chris would make a good Jedi tunic. 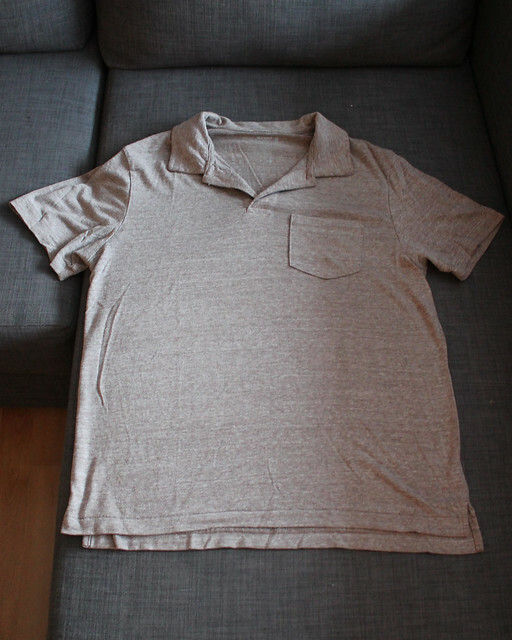 The best part about working with t-shirts is that the fabric doesn't fray, so there was no need to worry about finishing the edges. 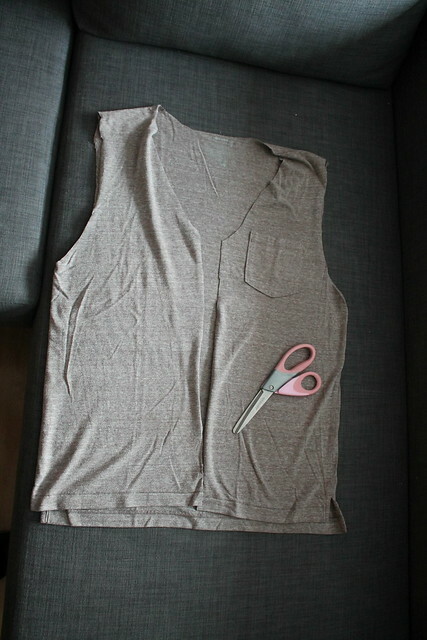 I cut off the shirt's sleeves and collar, and then cut down the center of the front. 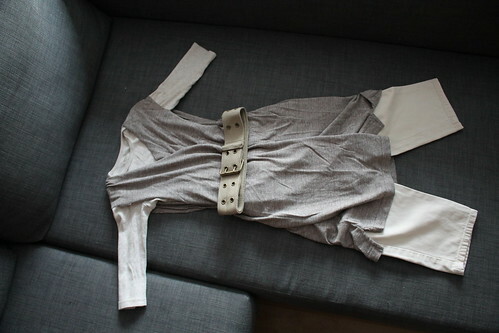 Layered over the beige shirt and pants, and with a belt around the center, it was already looking like a Jedi outfit! The belt has holes all the way around, so I just folded it in half to fit Axel. I had Axel try it on and then cut off the bottom of the tunic to shorten it to size. Chris added an LED to the inside of a bubble wand we had kicking around, and then wrapped the handle in duct tape for a perfect toddler-sized lightsaber. 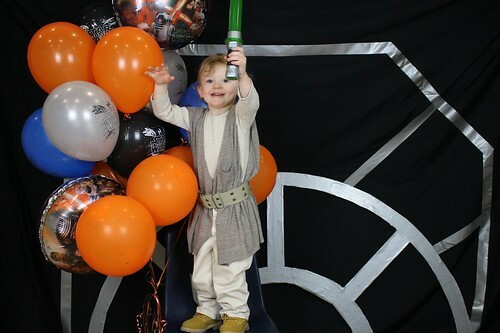 The best part of the party was when they turned off the lights and all the kids practiced their lightsaber skills. 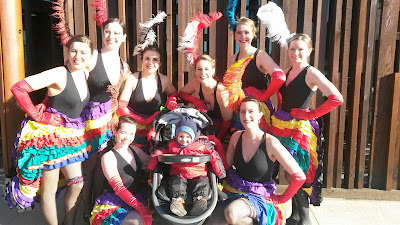 It was too dark to capture on my camera, but it was adorable watching Axel wave around his glowing lightsaber! 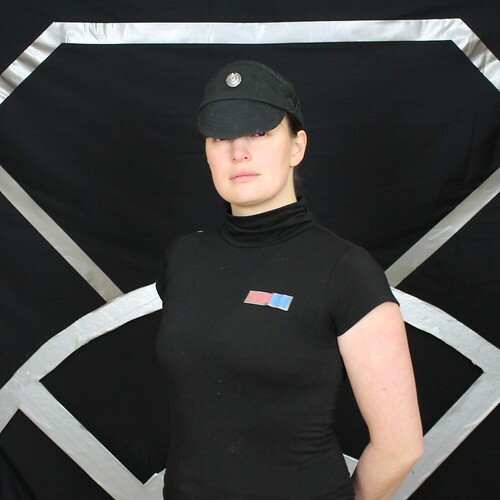 Originally I was thinking of dressing as Leia, but we have these awesome imperial officer caps in our costume collection, so I whipped up a quick duct tape badge and stuck it on a black turtleneck. Instant bad guy! A good way to be creative if you need some specific type of dress codes and you know that it’s too late to arrange them so all what you can do is follow this blogger and do check this post first.